Why is our product good? TruFlights has designed a series of Compact Controls to expand your flight simulation experience without cluttering up your desk. 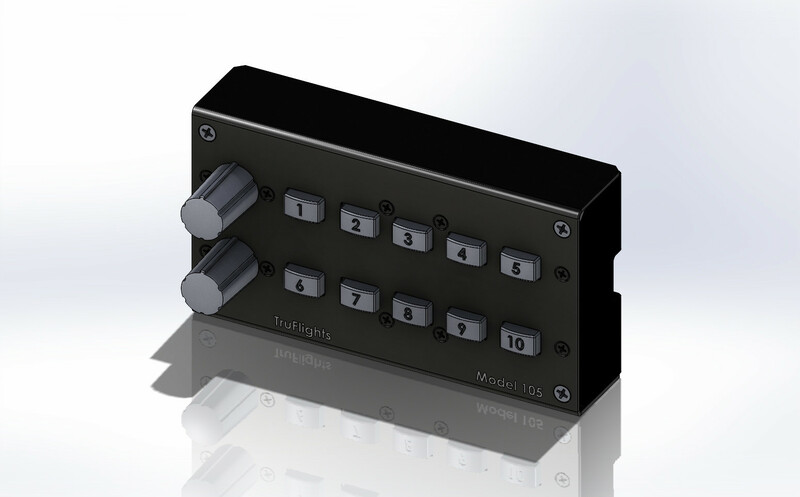 Each control is free standing, can be mounted with screws through the integrated foot, or on the optional mounting kit which allows the controls to easily fit behind your computer keyboard. The mounting kit also places the controls at a more ergonomic angle. Each control has an anodized aluminum housing that measures 2 ¾” x 5” x 1” deep. The switches in each control are assignable to give the pilot more flexibility. These Compact Controls were designed to enhance your flight experience, save you space and keep your budget intact. 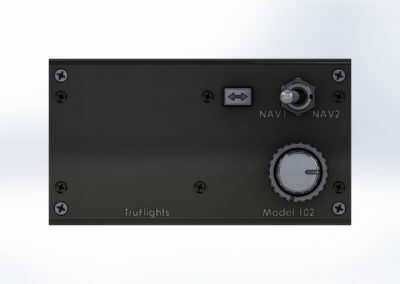 TruFlights Inc. introduces the new TruFlights Compact Input Control DUAL NAV - Model 102. This Compact Control provides primary input controls for dual navigation radio. This series of compact USB input devices is designed to give the maximum input functionality in a case small enough to avoid cluttering your desktop. 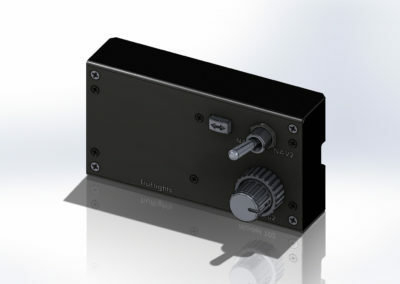 Included is a dual nested encoder for KHz and MHz frequency adjustments, a toggle switch for radio selection and a Standby/Active push button switch for active radio frequency selection. The switches can be assigned to meet your needs. 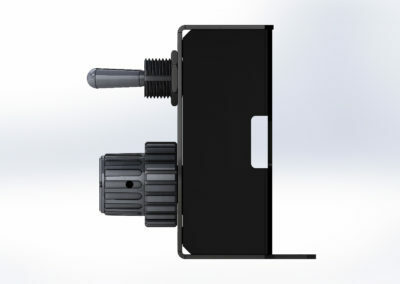 Can be mounted with screws through the integrated foot. 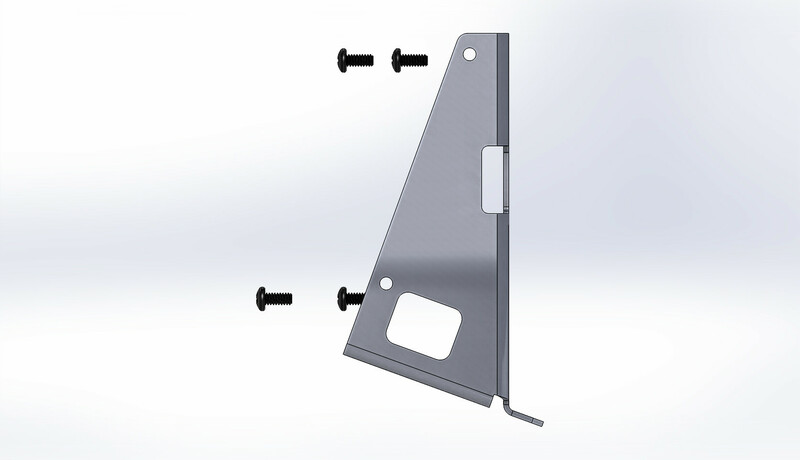 Optional brackets available to permit ergonomic desktop mounting behind a keyboard. Returns received in any of the following conditions may be rejected or may receive a partial refund. Items not in original condition, damaged, missing accessories, retail box, UPC code or showing obvious misuse not due to TruFlights error. TruFlights items purchased as gifts are refunded as store credit only. IL-2 Sturmovik:Battle of Stalingrad, Flying Tigers: Shadows Over China, 1942: The Pacific Air War, Pe-2: Dive Bomber, Sky Gamblers: Storm Raiders, BOMB: Who let the dogfight?, WarBirds Dawn of Aces, World War I Air Combat, IL-Sturmovik: Battle of Moscow, X Plane 10 Global, Prepar3D, Wings of Prey, Aerofly FS 2 Flight Simulator, Dovetail Games Flight School, Rise of Flight United, Was Thunder, F-19 Stealth Fighter, Fleet Defender: The F-14 Tomcat Simulation, Red Baron, F-22 Lightning 3, Wings over Europe, Star Conflict, Combat Wings: Battle of Britain, Blazing Angels 2:Secret Missions of WWII, Combat Air Patrol 2, Dogfight 1942, DSC World, Star Citizen, Falcon 4.0. These are just a few of many more. A. Since TruFlights makes products that comply with the standard USB 2.0 definitions, they work with all versions of windows after Windows XP. Q. Is there an adapter to connect with a USB port? A. Every joystick comes with a USB 2.0 cable so no adapter is required. Q. Can our floor mounted joystick be repaired? A. Though we design our components to not require repair under normal use, in most cases repairs can be made. Q. Is there a warranty on the units? A. There is a one year limited warranty on each unit. Q. Can a custom grip be adapted to the joystick? A. Most grips can be adapted to the TruFlights joystick base system. Adapter kits will be available. Q. Is the information about the joystick grip connector available? A. 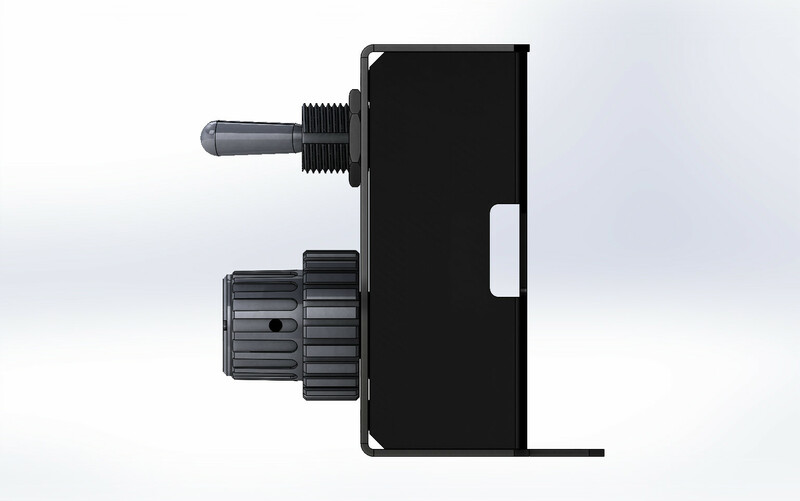 The grip connector information will be made available on our website. • Robust construction so that our customers have the durability needed for a product to last. • Thoughtful design so that flying is a much more comfortable experience avoiding cramping. 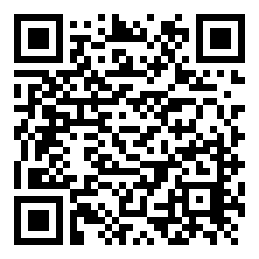 • Open source information so that the customer can add their own innovative ideas. • Warranty so that the customer is assured that they have a quality product. • Customer support and interactive website will assure the customer has somewhere to find answers if needed. • Made in America assures the American customer that his kids and grand-kids will have jobs in the future. 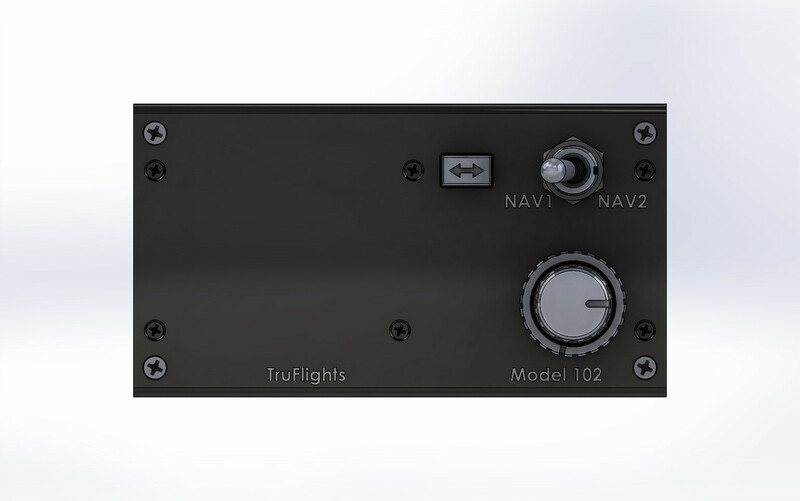 The Compact Control DUAL NAV Model 102 will make your flight more enjoyable, and will more closely simulate the experience of flying various types of planes. 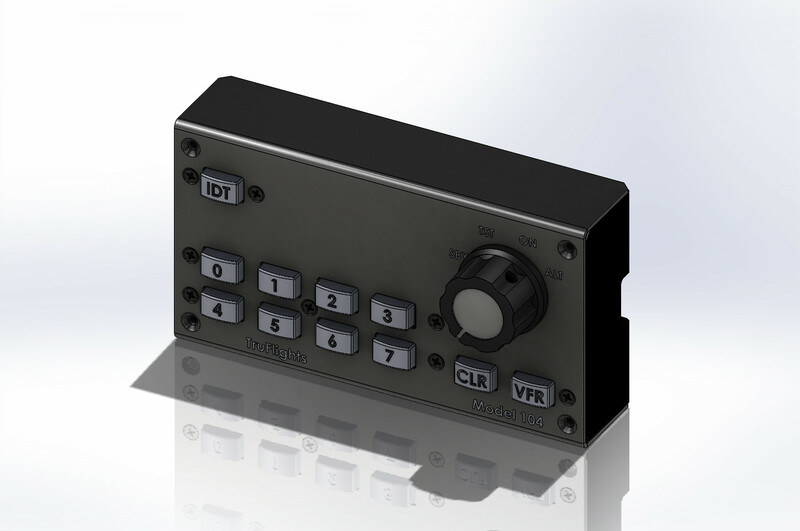 The Compact Control DUAL NAV Model 102 is a reliable, realistic yet affordable flight simulator accessory. The Compact Input Control DUAL NAV - Model 102 were designed to enhance your flight experience, save you space and keep the budget intact. The Compact Control DUAL NAV Model 102 has been designed with the possibility to be used on all flight simulator games, making all flight simulator experiences more enjoyable. The Compact Control DUAL NAV Model 102 is here to stay, and you can rest easy knowing that our team will be updating and improving it for years to come. Build on top of a powerful foundation.